I like using Beard Balm, it’s much better for my messy beard and so I always look forward to reviewing Balms. 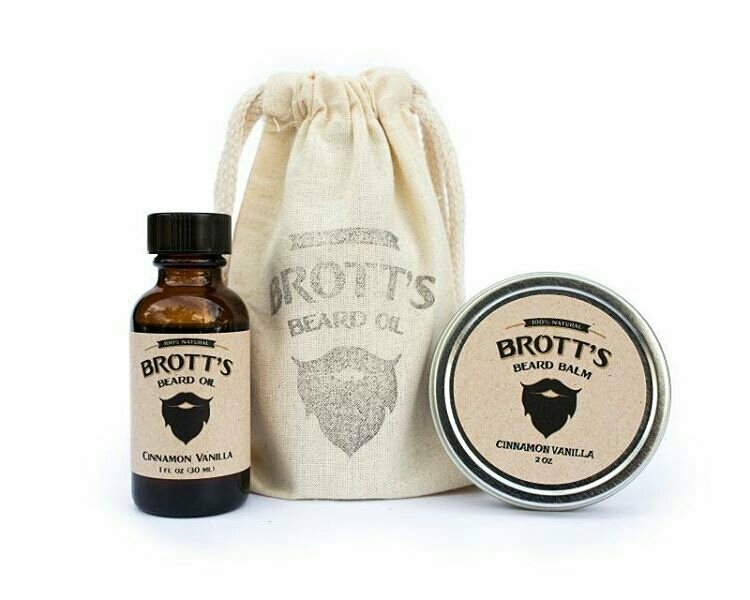 ‘Cinnamon Vanilla’ Beard Balm from Brott’s Beard Care is a slightly softer Beard Balm, however as I type that I have realised that it could be the warmer weather and I have just been used to Balm and wax during the winter that needed prying out the tin? Obviously the temperature has an impact on our Beard care products but I’m sure that this balm is slightly softer. The balm is easy to work with and kept my beard looking neat and tidy and it also kept my beard feeling good and to me that’s important, like most of you I spend a fair amount of time fiddling with my beard and there’s nothing worse than when itself dry or even unnatural due to products. The scent is perfectly identical to the oil and has a sweet Vanilla aroma with a spicy overlay of the Cinnamon that works so well. Scent is so important especially in beard care products, what might smell nice for a minute may not be okay in your beard right under your nose all day, this balm like the other Brott’s Beard Care products I have tested gets the balance perfectly right, giving a gentle yet definitely present scent with the various essential oils balanced just right. I can definitely say without any concern that if you purchase from Brott’s Beard Care, you won’t be disappointed! ‘Cinnamon Vanilla’ Beard Balm from Brott’s Beard Care is a base of Almond, Grapeseed and Argan oils with Shea butter and Beeswax into which Cinnamon (Chinese), Cinnamon Bark, Sweet Orange and vanilla essential oils are blended. Remember if you are outside of the USA to keep an eye on the exchange rates, it can sometimes really work in your favour! You can also keep up to date with Brott’s Beard Care on Facebook, Instagram and Twitter.